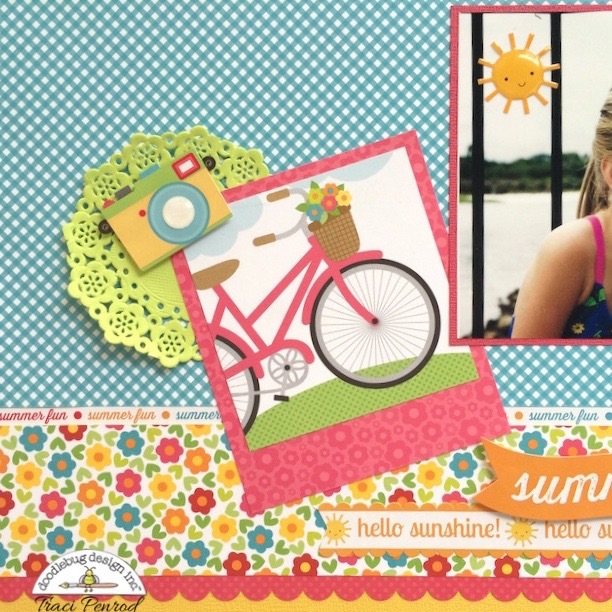 I used Doodlebug SunKissed paper and embellishments, along with doilies, stickers, and glitter sprinkles. I also used Fancy Frills border stickers ... and here's a tip: when you buy Fancy Frills border stickers, buy 2! 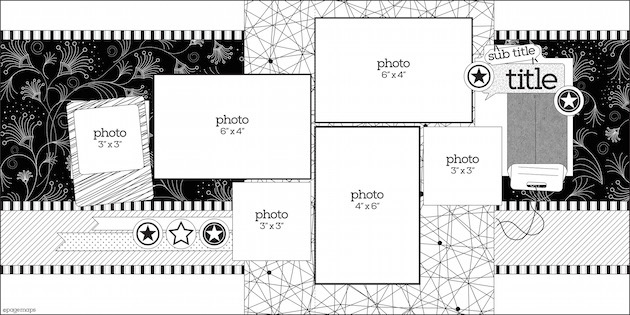 They are true 12" long stickers and if you buy 2 sets, you'll be able to create borders across both 12x12 pages like I did here! Such a fabby 2 pager Traci!!! Awesome sketch and I love Traci's take on it! Such pretty colours!! This 2 page layout is fabulous and just so extremely well done - love the composition and the way Traci used the papers to create such amazingness!! !